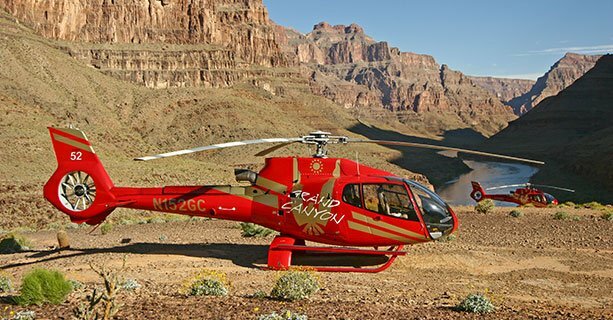 This tour is undoubtedly the most luxurious way to tour the Grand Canyon. For starters, you'll receive limousine transport to and from your hotel. 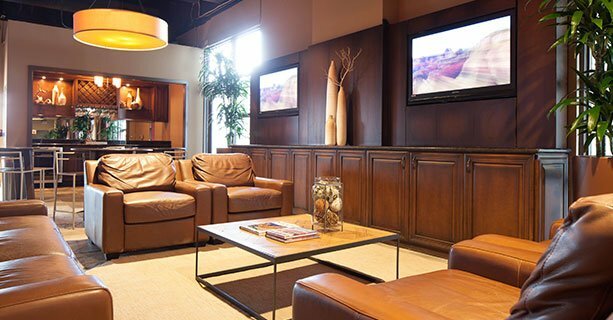 Upon arrival at the McCarran Atlantic Terminal, you’ll have time to relax in our VIP lounge before your adventure begins. Then, step aboard the helicopter for a flight to Grand Canyon West. Our helicopters are designed specifically to enhance sightseeing and are fitted with floor-to-ceiling windows as well as headset narration and air-conditioning. 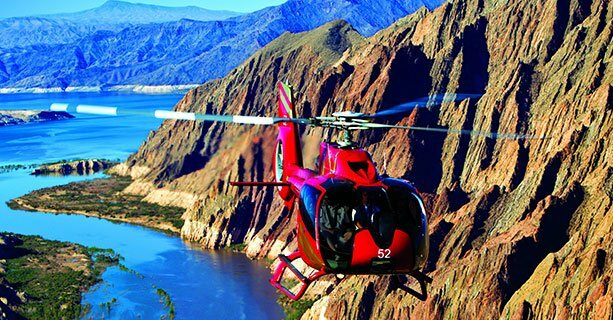 Enjoy unparalleled bird’s-eye views of Lake Mead, Hoover Dam, extinct volcanoes and the Colorado River en route to the Grand Canyon. 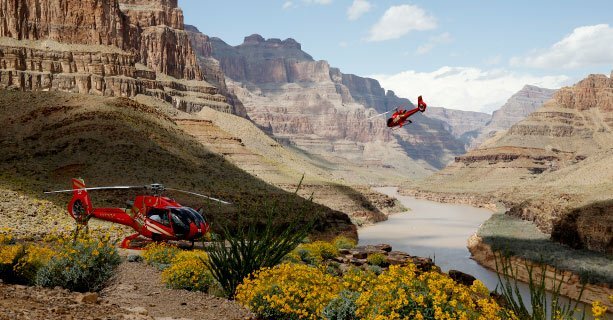 As your aircraft enters the West Rim you’ll begin a breathtaking 4,000-foot descent to the Grand Canyon floor. Experience up-close views of ancient rock formations, the striped canyon walls, and the Colorado River below. After landing on our private plateau on the canyon floor, there will be ample time to explore the surrounding scenery and enjoy a picnic lunch with a champagne toast. The gorgeous views don’t end at the canyon, though. Your return flight to the Las Vegas terminal includes a trip over the glittering lights of the Strip casinos. Check in at our VIP terminal in the heart of Las Vegas. Once in the air you will fly over Hoover Dam, Lake Mead, and the Colorado River on your way to Grand Canyon West. Your flight will take you into the West Rim with views of Guano Point and Eagle Point on the way to the bottom of the canyon, a 4,000 foot descent. Enjoy a light meal with time to explore the canyon floor. 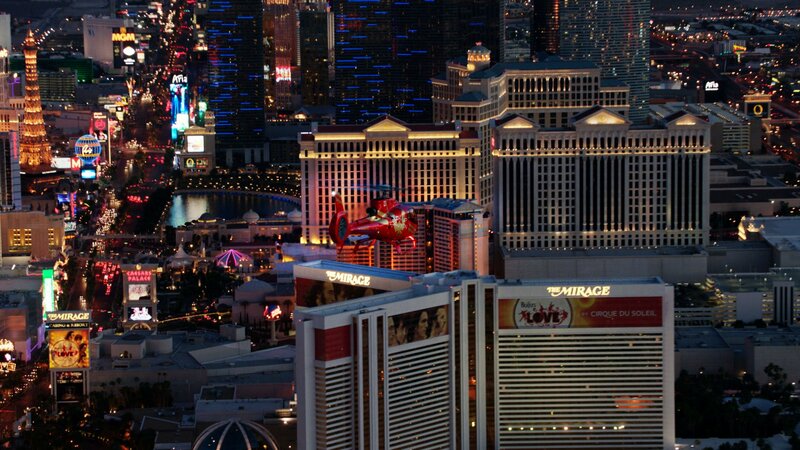 Your return flight includes a fly over the world famous Las Vegas Strip. On the ground, you'll return to your hotel by limousine.